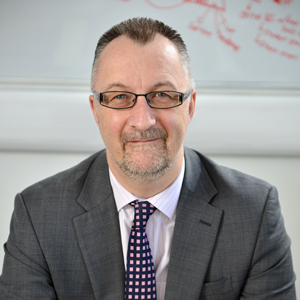 John Hemingway joined the University of Hull in April 2014 as Director of ICT. He is leading a major multi-million pound ICT Transformation programme that is delivering significant improvements across all elements of the ICT portfolio, including WiFi, wired network provision and infrastructure, and the applications portfolio. John is an experienced strategic consultant, facilitator, speaker and coach. A Chartered Engineer with a track record as a transformational IT leader, he has worked in a variety of industries in organisations including Smiths Industries, Gulf Oil, Pricewaterhouse Coopers, Codemasters and Sheffield Hallam University. John is playing a leading role in delivering strategic change initiatives at the University of Hull, in line with the delivery of the 2016–2020 Strategic Plan.